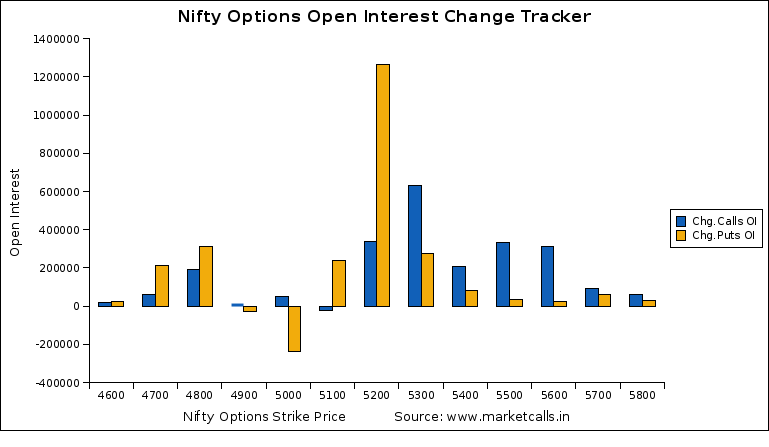 Today there is a huge Open Interest Builtup in 5200PE April Strike price. Which indicates that Option writers are confident about holding 5200 for time being. 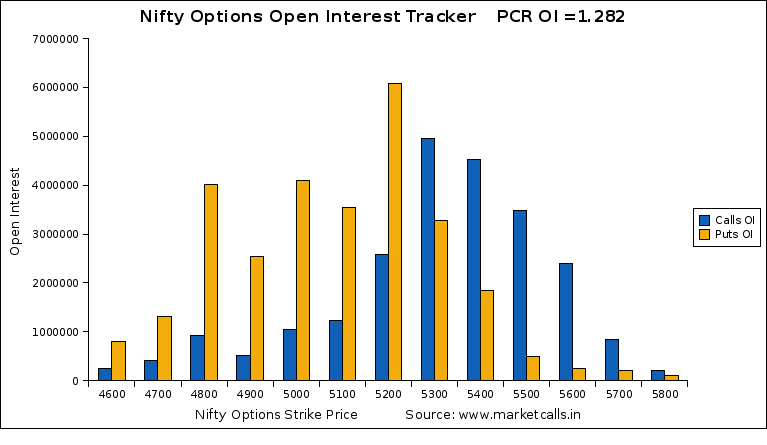 5200 pe oi has gone up ok but price has also gone up of the same , so its pe buying or writing ? i can now read oi almost clearly but i m confused on the margin side how much i have to pay to exchange for short options and what is pecentage of the margin charged on value. and if i have spread means 5100 put long and 5200 put short same qty so can my margin will be Half?